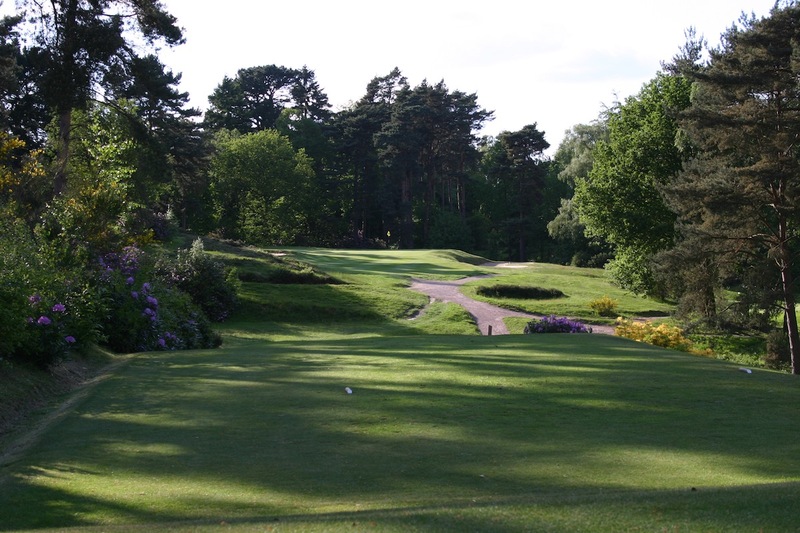 Home to the earliest outstanding inland course in Britain, the Sunningdale Golf Club is a true pioneer that helped to popularize one of the finest natural golfing regions in the world. 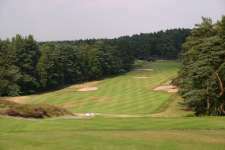 The club was the inspiration of Tom Roberts, a homeowner within the sandy Sunningdale farmlands outside of Surrey, who managed to convince St. John’s College in Cambridge to lease their neighboring grounds to him for golf and then persuaded a hundred keen golfers to contribute bonds to help establish the club and pay for Willie Park Jr to design and construct its course. 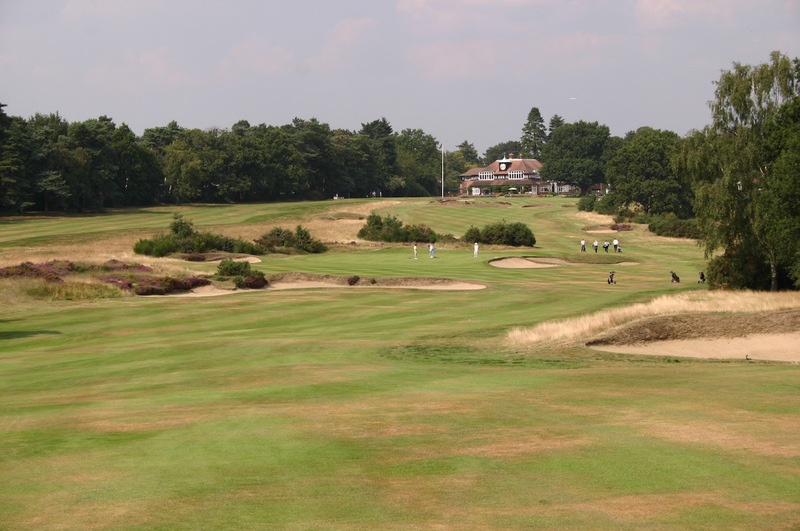 When Park’s course opened in 1901 it put both Sunningdale and London’s Heathland on the golf map and its success paved the way for other inland sites to be considered for development. 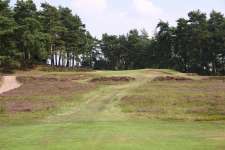 One man who benefited from the growth of heathland golf was Sunningdale’s first Secretary Harry Colt, who also had a major influence on the development of the Old Course while at the club. Prior to leaving his post to pursue a blossoming design career, he oversaw the redesign of many of the Park holes when the rubber-cored ball was introduced and organized the planting of thousands of trees, which are now such an integral feature of Sunningdale’s once barren landscape. Later, with the club looking to meet an increasing demand for golf by expanding its facilities, he returned to design its New Course. Opening in 1923 the New Course is built right alongside the Old Course but has its own distinctive character. 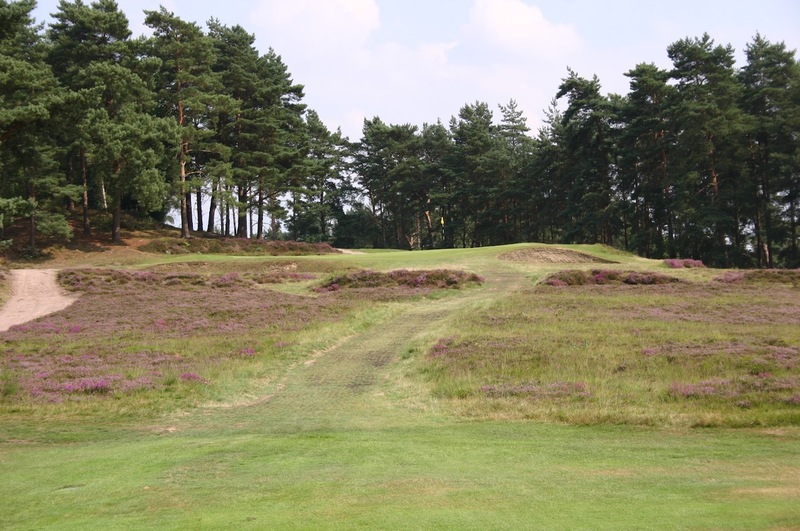 The Old is heavily bunkered with a majestic collection of mature pine, oak and birch lining its fairways, while the New Course has fewer bunkers but is a more exacting test from the tee with longer carries and tighter fairways lined by a more intimidating cover of heather. Colt’s green sites are also less forgiving. The middle section is the strength of both courses with the New Course boasting an impressive run of solid holes from the 4th to the 14th and the Old Course less consistent but with six or seven absolute standouts. Occupying most of the prime land, the shorter Old Course starts with a reachable par five down a slight hill and ends with a long par four back up the slope. In between it stretches out in a large loop along the western boundary of the property. The clever short par four 3rd and the one-shot 4th, played up into a hill ledge and across an expanse of heather, are its first significant holes. These are followed by an excellent trio of two-shotters, the 5th, with golf’s earliest known man-made water hazard, and the 7th played across a wonderful fairway that twists through the pines and rises into a terrific plateau green set on a small crest. 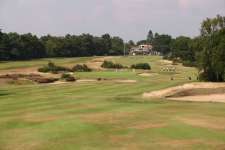 Other noteworthy moments include the view from the elevated 10th tee and the crafty short par four 11th, which heads blind over a nasty bank to a fairway sloping away from the green. The 12th, across a series of ditches, is also very good as is the long par three 15th and the three substantial par fours back along the trees that close the round. By contrast, the New Course is built across a more open and uniformly undulating landscape with deep, punishing bunkers and greens that are more demanding on your approach play, many being built up with false fronts and subtle tiers. The central section of Colt’s original layout was considered too hilly by the membership and by 1934 had been replaced with five new Tom Simpson holes (6 to 10) which only a few years later were reconfigured on additional land by John Morrison, a partner in Colt’s design firm. The opening and closing holes are a touch under-whelming here but the heart of this course is exceptional, starting with the excellent right-bending 4th and then along through a series of attractive short holes and demanding par fours which are set through thick heather and relentless on those inaccurate from the tee. The strategic simplicity of gorgeous holes like the 7th and 12th and the heavier undulations of the 8th and 9th among the highlights. 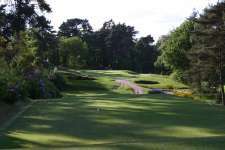 Situated on a fabulous property, Sunningdale is a one of the world’s premier golf clubs and among the most impressive 36-hole venues anywhere outside the United States. Whether you prefer Old or New, there is no denying that each is outstanding and a round on both is a pretty special day’s golf.